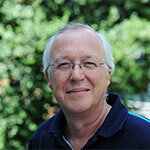 Michael Robinson is Chief Science Advisor for the Syngenta Foundation for Sustainable Agriculture. Previously, he worked as Senior Technology Analyst for the Syngenta Corporate Strategy & Technology group, a role that involved key activities relating to the identification of new business areas and the initiation and management of new technology collaborations. He has over 20 years R&D experience in agricultural biosciences covering discovery technologies, plant breeding, natural products research, chemical genetics, systems biology and sustainably productive agriculture. 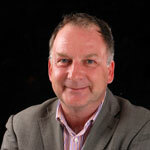 He has been involved in the establishment and project management of several global collaborative research programs with academic and commercial organizations. Felister Makini currently serves as Acting Deputy Director General for Crops at the Kenya Agricultural and Livestock Research Organization. Prior to this, she worked as the Deputy Director in charge of the Department of Outreach and Partnerships, a new department in the former Kenya Agricultural Research Institute (KARI). She was responsible for promoting the dissemination and adoption of KARI technologies, products and services, along with the establishment and strengthening of strategic partnerships along the research development to utilization continuum as well as along the agricultural product value chains (APVC). 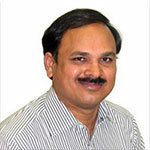 Ram Kaundinya is an expert in the field of management, especially in the business of agricultural inputs. He is an author, strategic management consultant, teacher and a policy analyst in India. He was the Chairman of the Crop Life India (the then Indian Crop Protection Association) for two years from 1998-2000. 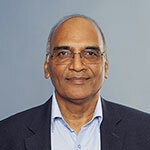 He later served as the Director of the Association of Seed Industry (ASI), Mumbai from 2002 to 2006 and the Managing Director and CEO of Advanta Ltd, (2006-2013). He most recently served as Chairman of the Agriculture Group of the Agricultural Group of the biotech industry association called ABLE (2010-14). Justin J. Rakotoarisaona is the secretary general of the African Seed Trade Association (AFSTA) in Nairobi, Kenya since the year 2000. He previously worked as the Seed Production Manager to the Ministry of Agriculture of Madagascar, Farm Manager Center for Training and Application of the Agricultural Mechanization (CFAMA), and the Head of the Farming Division at FANALAMANGA. Luis Flores Lui has served as Director General of the Mexican Forestry, Agriculture and Livestock Research Institute (INIFAP) since 2014. 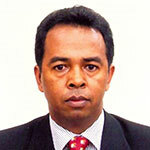 He has previously worked as aprofessor for Ministry of Public Education, as manager of the Guanjuato Produce foundation and within INIFAP as director for Basic Products, leader of the National Network for Water-Soil-Atmospheric studies and director of planning for the Regional Investigation Center. Martin Kropff was appointed Director General of CIMMYT in 2015. He previously served as Rector Magnificus and Vice Chairman of the executive board at Wageningen University, where he held several positions starting in 1995. From 2013 to 2015, he was a member of the CGIAR board of directors, and previously worked as a systems agronomist at the International Rice Research Institute (IRRI) from 1990 to 1995. 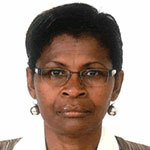 Nteranya Sanginga is the Director General of the International Institute of Tropical Agriculture (IITA). 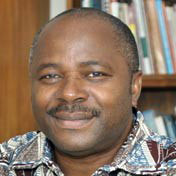 He was previously the Director of the Tropical Soil Biology and Fertility (CIAT-TBSF) based in Nigeria. He specializes in applied microbial ecology, plant nutrition and integrated natural resource management He has trained over 30 PhD candidates at the National University of Congo and the University of Zimbabwe. B.M. Prasanna is Director of MAIZE CRP and the CIMMYT Global Maize Program. He was faculty member of the Indian Agricultural Research Institute (IARI), served as team leader for India under the CIMMYT-led Asian Maize Biotechnology Network (AMBIONET) during 1998-2005 and was an Indian Council of Agricultural Research (ICAR) National Fellow during 2005-2010. At CIMMYT, he has led several Network Projects on molecular breeding, gene pyramiding, quality protein maize (QPM), biofortification, functional genomics, and allele mining. Prasanna’s research findings are published in over 82 refereed international journal articles. 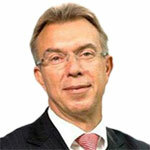 Victor Kommerell is the program manager of the CGIAR Research Programs on Maize (MAIZE) and Wheat (WHEAT). He previously worked as a consultant to the CGIAR on strategy, human resources and project management, which included facilitation of a 2020 sustainability plan for the 10 CGIAR gene banks and an external evaluation of ILAC. Prior to working with the CGIAR, Victor worked with the Chief Prosecutor at the International Criminal Court and led a change management program at NATO HQ, after having worked for Perot Systems (people change management) and the Leipzig Trade Fair (b-to-b marketing). Claudia is the Program Administrator of MAIZE. Prior to this appointment she worked as Project Coordinator of the MAIZE and WHEAT CRPs managing multiple sub-projects and she also served as Finance Manager for both Research Programs. Claudia has been trained in Program Management by the PMI and holds a certificate in Project Management for Development professionals (PMD Pro). Before joining CIMMYT, she worked in the private sector as Head Project Manager managing the construction of four maximum security prisons for the Mexican Government. 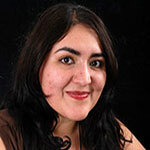 She also worked as a consultant in budgeting and administration of resources for numerous iconic buildings in Mexico.